1 Let’s begin by grabbing a pan and getting it nice and hot over medium high heat. Pour some oil and throw in the onion, garlic and ginger and cook them until the vegetables give off a nice aroma. 2 Place the pork and shrimp paste in and sauté them over high heat for about 2 minutes. 3 For the next step, wrap the pork mixture in the gabi leaves and secure it in with the softened lemongrass. 4 Now, get another pot and cook the Knorr Ginataang Gulay Recipe Mix by dissolving it in 2 cups water. 5 Throw in the siling labuyo and 2 pcs of lemongrass. Gently place the wraps in the pot and bring them to a boil. Reduce the heat and cook while covered until the sauce is thick. 6 . 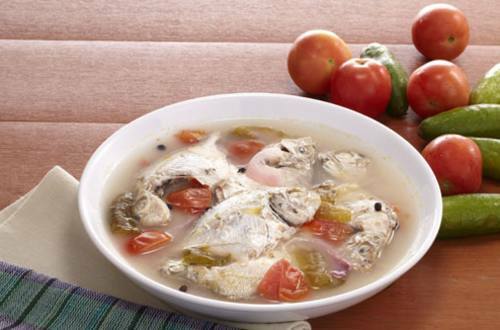 Get ready to eat without the guilt because Pinangat is one dish your family will truly adore!